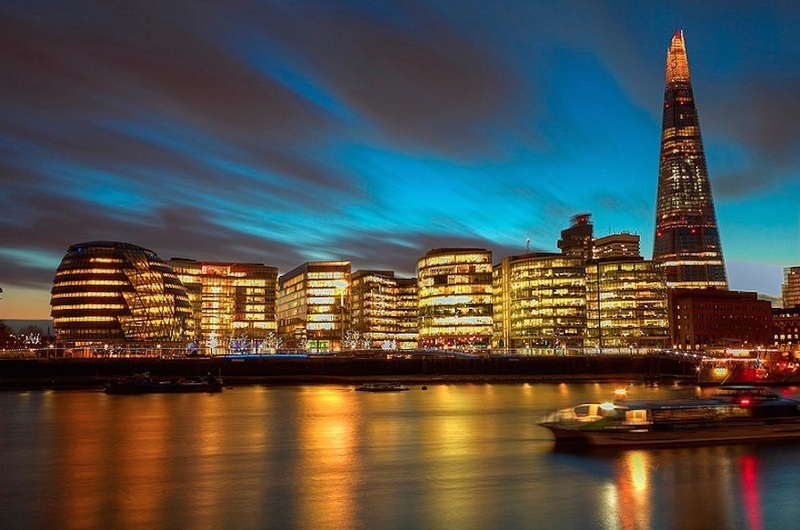 It's one of the key focal points of the city and the reason London sprung up in the first place — the river Thames is what most of us think about when we think of the capital. But how many of these facts did you know about it? Photo by Andrea Pucci from the Londonist Flickr pool. The source of the Thames is in a spring in a field in Gloucestershire, but for London the river starts at Teddington. Here the tidal Thames begins, rising and falling as the city breathes, but the tides stop at Teddington Lock. The largest lock complex on the river is actually three locks, two islands, two footbridges and a weir. The Thames was tidal all the way to Staines until 1811, when the controversial new barrier was built. It threatened the livelihoods of locals who fished and worked the river, and was so unpopular that the lock-keeper was armed with a blunderbuss and a brace of pistols. 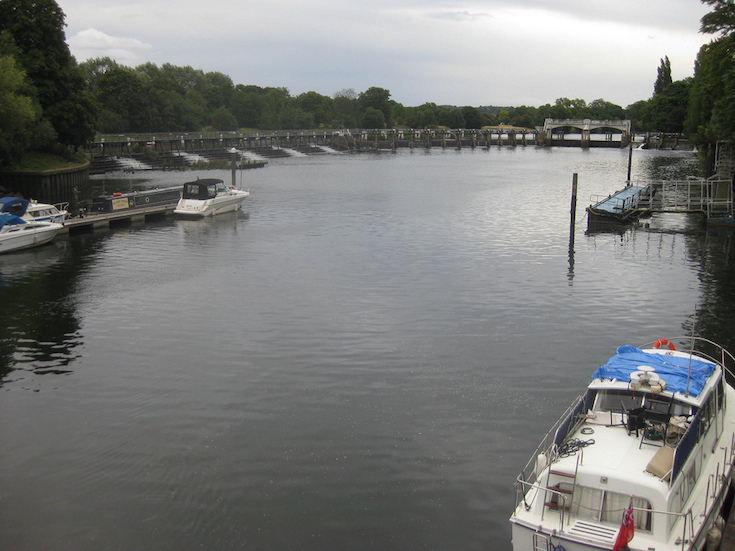 After the old London Bridge was demolished in 1831 the river level dropped, and Teddington lock had to be rebuilt to stop barges running aground. The Crowstone, Chalkwell. Photo by Diamond Geezer. The Thames is still officially river not sea until it reaches an invisible line in the estuary, between Westcliff-on-Sea in Essex and the Isle of Grain in Kent. The boundary, the edge of the Port of London Authority’s patch, is marked with a stone at either end. On the Kent coast a small obelisk sits in the middle of nowhere, in the mud of Yantlet Creek, and is known as the London Stone. 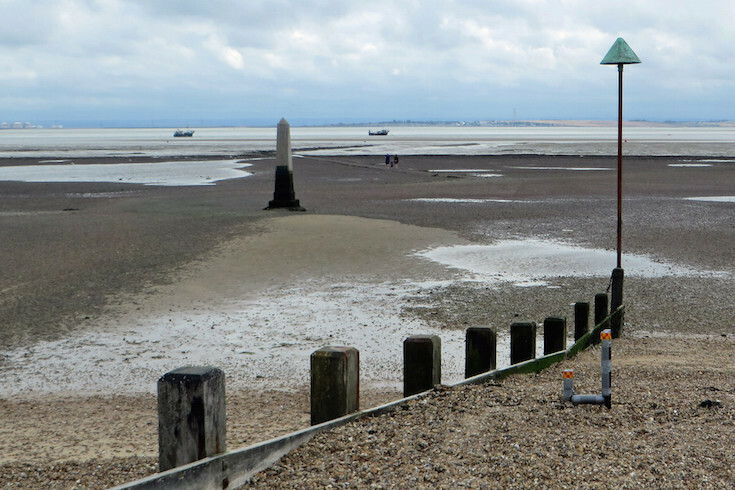 The Essex version is called the Crowstone, and is rather more accessible on the beach at Westcliff, handy for the promenade. The Crowstone Crawl is a popular route for Southend swimmers, but the Crowstone itself is a 1950s replacement, with its predecessor retired to nearby Priory Park. London Stones, Lower Upnor. Photo by N Chadwick and licensed for reuse under Creative Commons. Every psycho-geographer’s favourite totem, the mysterious London Stone on Cannon Street, is not the only one. The Thames its estuary boasts three more London Stones, including the Isle of Grain version above, all used as boundary markers. 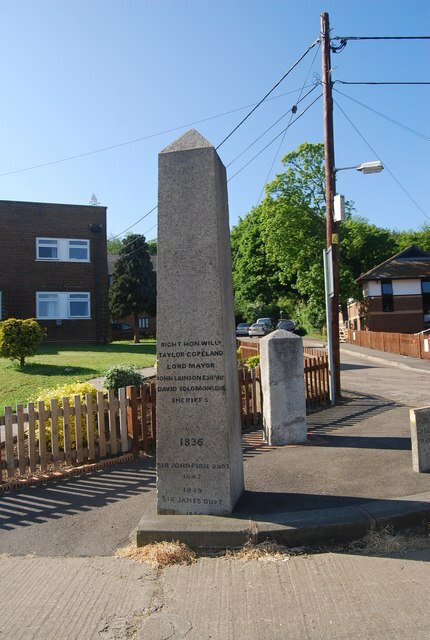 The London Stone at Staines marked the Port of London area where those selling coal had to pay coal duty, and now lives in a museum. At Upnor, on the Medway, two London Stones still show where the City of London once controlled fishing rights. Stones were used for elaborate boundary marking ceremonies involving swords and drinking. Purfleet, best known for its oil refinery and as the place where Count Dracula stepped ashore, is surrounded by the open expanses of the Essex marshes. But here on the flatlands is a hidden forest, only visible at low tide. 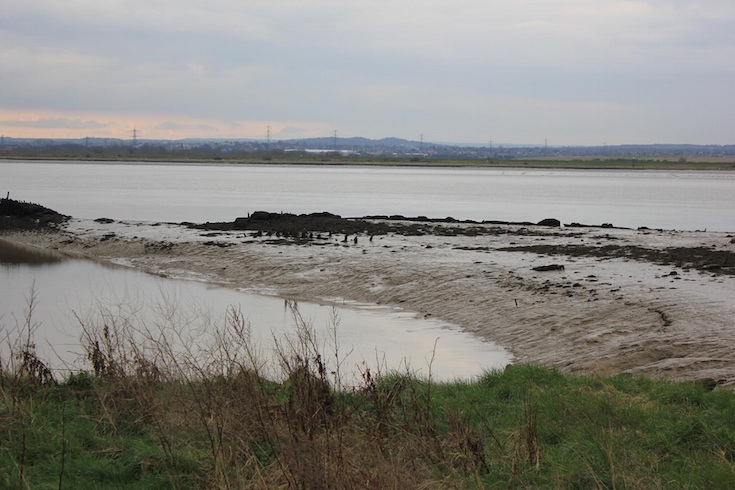 To the west of Purfleet, the mud has preserved a tangle of tree trunks over 6000 years old. Ash, elm and alder from a long-lost forest were preserved in layer of brown peat beneath the river mud. The trees belong to the Neolithic era, and flint tools found here hint at the hunter gatherers who roamed the Thames shore. The remains, of the black and squidgy variety, are a little underwhelming but they link us back to a darker, wilder London the edge of recorded history. The riverfront space where City Hall sits, surrounded by accountancy firms in glass boxes, used to be the heart of London’s docks. Nowadays Docklands means the Isle of Dogs and City Airport, but until the 1960s some of the most intense activity was on Tooley Street. The river from London Bridge to Tower Bridge was a wall of wharves, many handling perishable goods from Europe such as German cheese and Polish bacon. This was London’s Larder, and at its heart was Pickle Herring, an ancient, narrow street probably named after its top import. 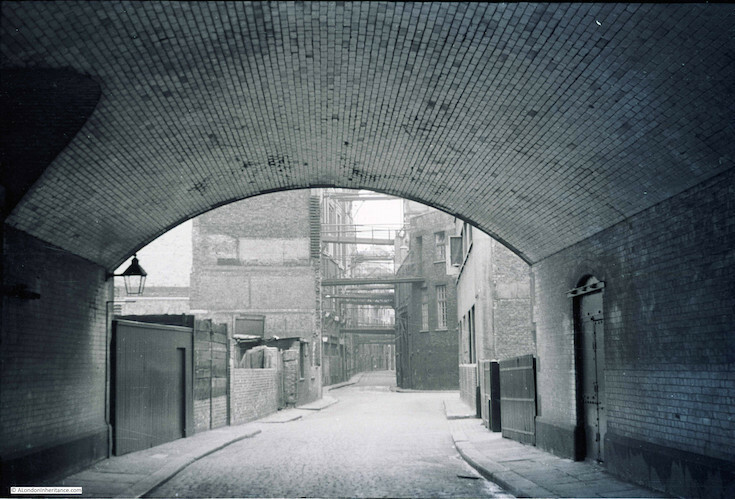 Pickle Herring was a continuation of Shad Thames and looked just like it, narrow and criss-crossed with iron bridges. It was demolished in the 1970s, an act of destruction hard to imagine now. Redclif, Ratcliff, Ratcliffe: it’s not just the spelling of London’s first port that is hard to pin down. 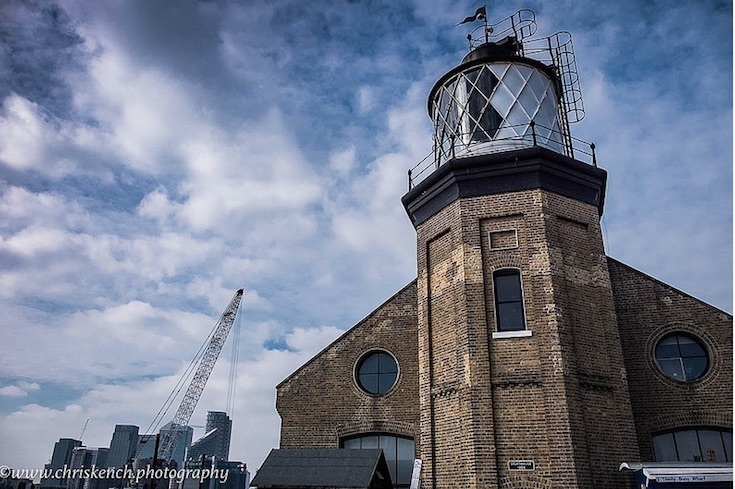 Before the great, enclosed docks of the 19th century were hollowed out of Limehouse, Rotherhithe and the Isle of Dogs, ships docked at Thameside wharves. The most sheltered place on the river was in the crook of the bend at Limehouse, at a place called Radcliffe or Sailor Town. 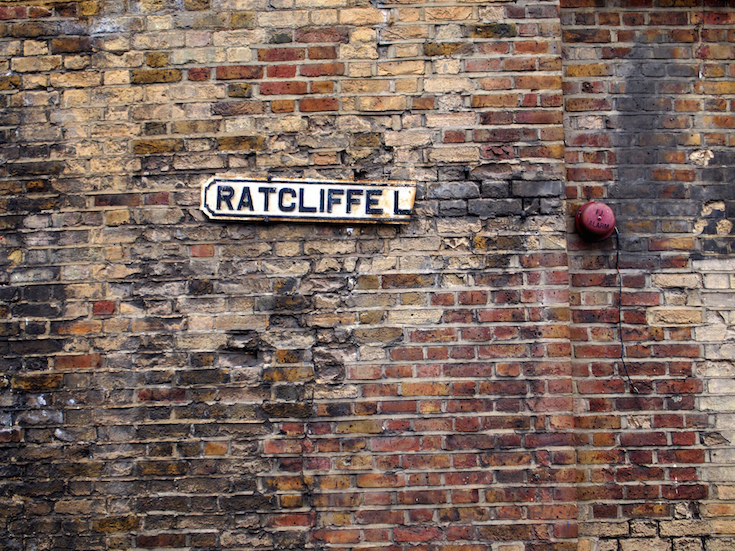 Ratcliffe was one of the original Tower Hamlets, named after a lost cliff of red earth, shovelled away as ballast for the great ships that left its quays. These were London’s earliest docks, where Tudor expeditions led by adventurers like Sir Hugh Willoughby set sail for the Arctic. The 19th century saw Ratcliffe eclipsed by its neighbours, and although it is marked on maps few know of its existence. Photo by www.chriskench.photography from the Londonist Flickr pool. The River Lea meets the Thames at Bow Creek, where it goes through an extravagantly set of meanders. This gives us the oddly-shaped Leamouth Peninsula, home to Trinity Buoy Wharf and its pocket lighthouse. Not exactly located on rocky coastline, it was in fact a training lighthouse built in the 1860s to test lighting designs and coach lighthouse keepers. It closed in 1988 and the peninsula became arts space, and the site of a big Crossrail hole. The lighthouse now houses ex-Pogue Jem Finer’s astonishing Longplayer, a piece of music that plays automatically and lasts 1,000 years. So far, it has clocked up 16 years and counting. Peer out to sea from the port of Sheerness-on-Sea, at the mouth of the Thames Estuary, and you will see what look like three masts protruding from the waves. 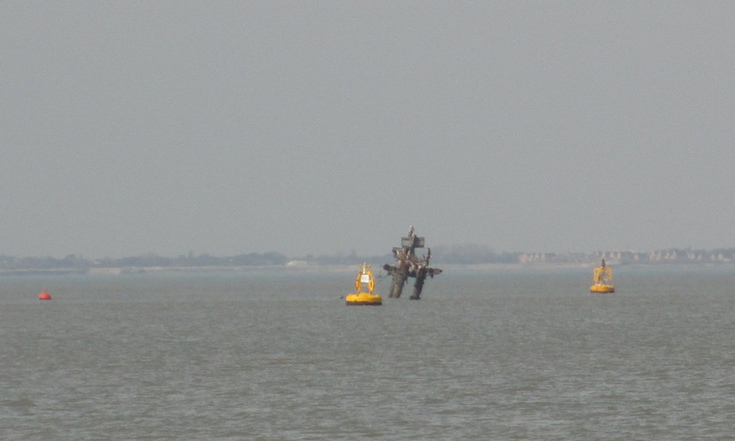 This is the wreck of the SS Richard Montgomery, a US cargo ship. In August 1944, a couple of months after D-Day, she crossed the Atlantic from Philadelphia loaded with more than 6000lb of munitions, including a stock of super-large Blockbuster bombs. The ship dragged its anchor, ran aground and broke up on the Sheerness sands. More than 70 years and many enquiries later, no-one really knows how dangerous it is, but they do agree that it could explode spontaneously. At the very least, the blast would send up a tidal wave and break every window in Sheerness. It is hard to see how a 1,500 acre construction site can be secret, but London’s new port is out of sight and out of mind unless you live on Canvey Island. Construction began in 2010 on an entirely new and controversial container port for London, at the disused Shellhaven oil refinery next to Canvey, out on the Thames Estuary. The location is remarkably remote for a city of 8.5 million people and the name, London Gateway, is so meaningless it could be almost anywhere or anything. The whole operation seems carefully designed to slip under the radar. 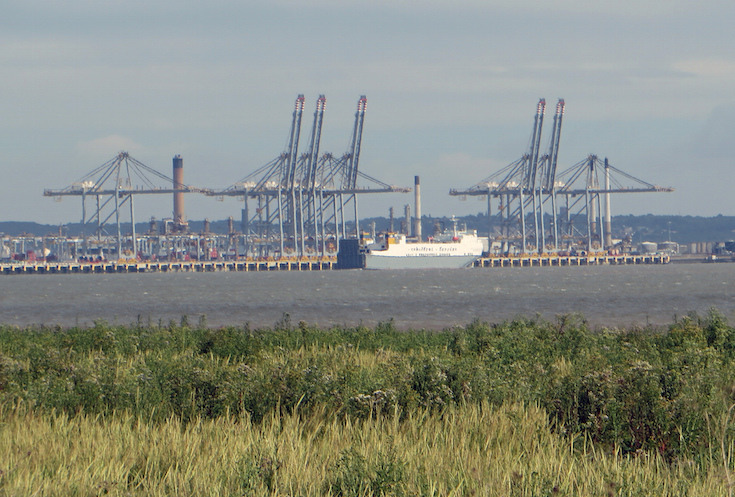 The first phase of the port went into action in 2013, and when complete London Gateway will be the third largest port in Britain. However, it is taking a while to get going. The graffiti of Leake Street is now just another estate agent marketing ploy, but the real urban canvas is out on the river. Alongside the Thames between Grays and Tilbury, half a mile of concrete flood wall has been sprayed with ambitious designs on a large scale. The wall is invisible from the shore unless you climb down to walk by the water, but it hides murals from Asterix to the Silver Surfer to Roy Lichtenstein. It goes back a long way, at least to the days when people stencilled Mod slogans. 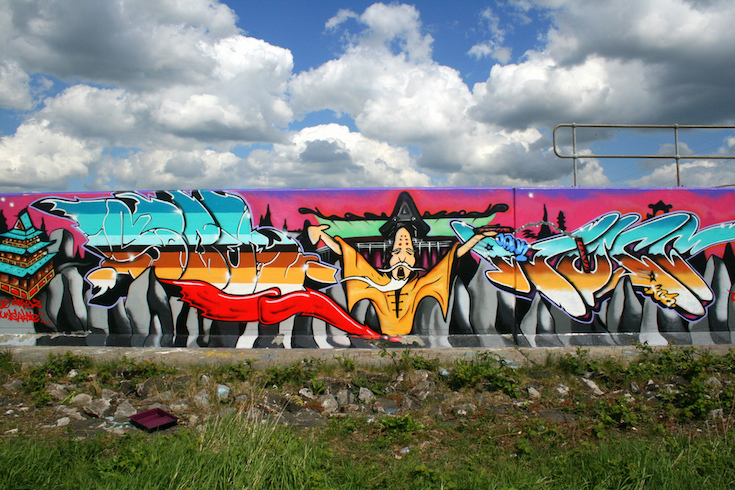 The wall is only accessible on foot, preferably while trekking the Thames from source to sea, but the strange and beautiful art is well worth the journey. Tom Bolton is author of Vanished City and London's Lost Rivers.